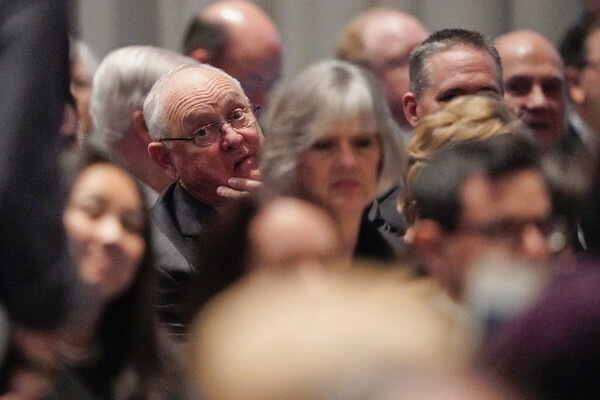 (AFP-OUT) Nolan Ryan looks back as he arrives before a funeral service for former President George H.W. Bush at St. Martins Episcopal Church on December 6, 2018 in Houston, Texas. President Bush will be buried at his final resting place at the George H.W. Bush Presidential Library at Texas A&M University in College Station, Texas. A WWII combat veteran, Bush served as a member of Congress from Texas, ambassador to the United Nations, director of the CIA, vice president and 41st president of the United States.